Play Sports Network, the company behind Global Cycling Network (GCN) and Global Triathlon Network (GTN), has confirmed the launch of the new Electric Mountain Bike Network (EMBN) channel, which will be presented by Steve Jones, the distinguished mountain biking journalist and former Dirt magazine Editor. Jones joins in December, ahead of the channel’s full launch early next year, with Specialized and Haibike confirmed as bike partners. Steve Jones is a highly respected bike tester with an ‘encyclopaedic knowledge of bikes, mountain biking and downhill racing’. Play Sports Network noted that over the years he’s discovered several iconic bikes and this natural curiosity has led him to become an authority on the growing trend of eMTBs. EMBN is the fourth in a series of cycling and tri-sports specific channels from Play Sports Network (PSN), which are comprised of Global Cycling Network (GCN), Global Mountain Bike Network (GMBN) and Global Triathlon Network (GTN). 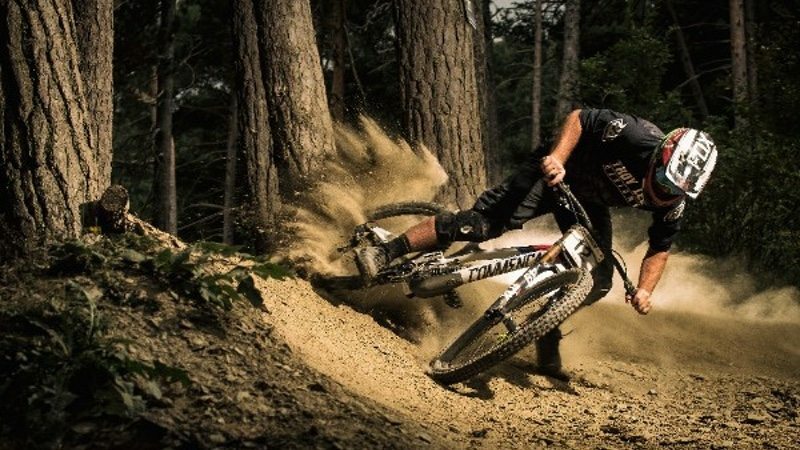 The addition of Jones to the new channel bolsters the roster of mountain biking talent PSN enjoys, alongside Martyn Ashton, Neil Donoghue, Blake Samson and Andrew Dodd. In other developments at PSN, Matt Skinner has been promoted to the newly created role of Content Director across the Play Sports Group, working across both PSN – and its roster of cycling, mountain bike and triathlon channels – and SHIFT Active Media (SHIFT), the award-winning cycling marketing and communications agency. With a primary remit to drive the long term editorial strategy and direction for the network and channels, including growing and developing both existing and new audiences, Skinner will also continue to work across SHIFT’s key content and creative relationships. Prior to joining SHIFT in early 2012, Skinner spent nearly a decade as a mountain bike journalist and magazine editor working across the UK’s Mountain Biking UK (MBUK) and What Mountain Bike magazines. Steve Jones, Presenter of EMBN, added “PSN is highly ambitious and I’m excited to be a part of the mission to catapult the eMTB market. Like all forms of cycling, eMTB requires the rider to decide on the intensity of the ride. But more than this, eMTB seems to foster a more sharing attitude; it also brings freedom, uniting downhill and trail riding. Play Sports Group is home to the Play Sports Network and SHIFT Active Media. It is a leading creator of cycling digital video distributed on YouTube and Facebook. With expertise in video and digital distribution, the company claims a leadership position in the market, reporting 84% year-on-year growth in video views to over 40 million in January 2017. Together with the newly launched Electric Mountain Bike Network (EMBN) and Global Triathlon Network, Play Sports operate two market-leading YouTube channels, Global Cycling Network and Global Mountain Bike Network. The channels now have over 1.79 million subscribers and millions of fans across associated social media platforms. Headquartered in Bath, England, the company is backed by an investor group that includes Discovery Communications, Andrew Croker (Perform, IMG), Oli Slipper, John Gleasure and Stef D’Anna (Perform), Tony Ball, (Sky & BT), Paul Bolwell and Humphrey Cobbold (Pure Gym & former Wiggle CEO). SHIFT Active Media is an award-winning cycling media agency, which works alongside some of the biggest, most high profile brands in the cycling world.